We offer a complete package of LED suits, controlling electronics and controlling software. You’ll just need dancers and a computer to make it all work. 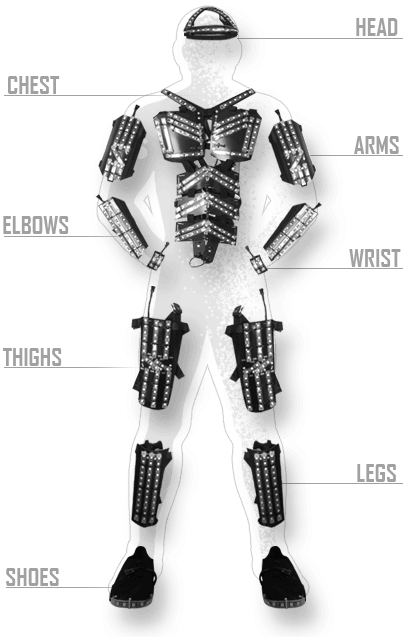 The LED suit is made out of firm plastic pieces and analog LED strips. It makes the suit reliable and rigid enough for dancing. Analog LEDs in combination with our control hardware and software allows you to create dancing light shows synchronised with music. Each costume is separated into 16 independent logical parts, which gives you enough space for your creative ideas during programming process. Control software allows you to create and play complete Tron Dance shows synchronised with the sound track. LED Strip Studio software is an easy way how to create color-changing sequences or animations for all your dancers separately. Simply put all the sequences to the timeline and synchronise them with music or Midi MTC code. Main Ethernet Controller 1U box is based on LEC 3 controller. 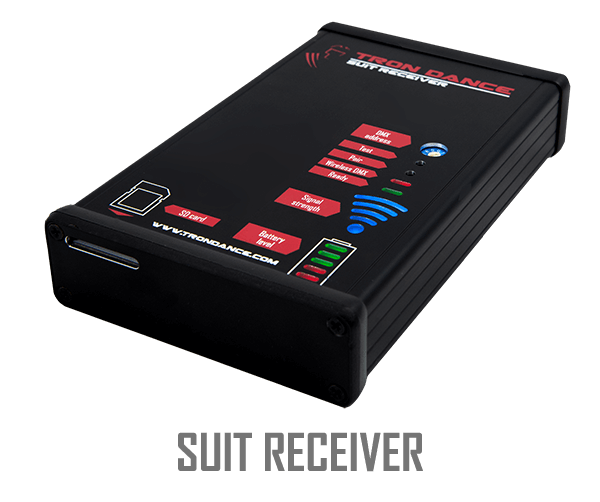 It transmits a wireless signal to the LED Suit Receivers. Each MEC can control up to 10 independent LED costumes (receivers). Receives wireless signal from the Main Ethernet Controller and sets the color for each of 16 segments on the LED suit. The color is a representation of animations created in the LSS software. It allows you to charge up to 8 batteries at once at the same time. It takes about 2 hours to fully charge the batteries. 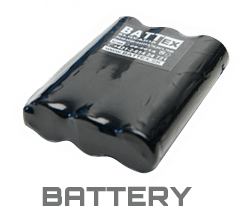 A 12V battery, which powers up the whole LED suit and LED Suit Receiver. It works for about 20 minutes at full white color with our standard LED suits. For Tron dance show, you need only 10 to 15% brightness, so costumes with this battery will work much longer then 20 minutes. This unique UV and LED combined show will create a mind-blowing experience for your guests. Our attractive dancers can promote any brand, do products launch or private party. Make Your event unforgettable!